The executive who oversees an organization’s customer experience may have one of many titles – Chief Client (or Customer) Officer, Executive Vice President of Customer Experience, Customer Experience Manager, Chief Marketing Officer, and more whimsical titles, such as Director of First Impressions, Creator of Opportunities, Chief Amazement Officer, and Happiness Advocate. This article refers to Chief Experience Officer, the common acronym for which is CXO. The role seems especially prevalent in the healthcare industry, in which it deals with the patient experience. A Chief Experience Officer ensures a consistent and seamless end-to-end customer experience. 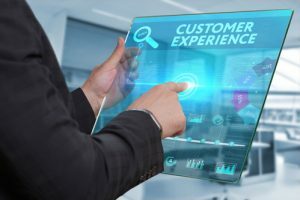 The CXO identifies discrepancies between customer expectations and the actual experience, striving to eliminate those discrepancies. Perhaps surprisingly, many CXOs also scrutinize and cultivate the internal customer – the employee – based on the concept of what executive Frédéric Durand calls the “reciprocal relationship between the employee journey and the experience delivered to the customer.” Engaged employees are seen as key to providing optimal customer experiences. The CXO is charged with delivering exceptional experiences that generate positive emotions and convenience for the customer. Obsessive customer-centrism and knowledge aimed at boosting customer loyalty, retention, and satisfaction. Collaboration skills cultivated within a relationship-based culture. The will to promote customer-centric culture internally. Measurement and analytics skills for the components and outcomes of customer experience. Creativity to introduce experience-improvement initiatives. Strategy, leadership, and governance skills. A significant component of the CXO’s role is transformation to an experience-based customer-centric culture that goes well beyond customer service. Showing that you understand the need for this transformation and can successfully lead change will go a long way toward boosting your CXO journey. Know that the deliverable should be more than just good customer service. In “The Roles of the Chief Experience Officer” in the American Management Association’s journal, AMA Quarterly, Joseph Pine II and James H. Gilmore note that experiences must be memorable. “CXOs must work to turn mundane interactions into engaging encounters so that customers cannot help but remember them—and tell others about the experiences they had,” the authors assert. Understand the five roles CXOs need to succeed: These roles, developed by Pine and Gilmore, include Catalyst, Designer, Orchestrator, Champion, and Guide. The Catalyst sparks energy, excitement, and action company-wide. The Designer forms the raw material of company capabilities into experience offerings. The Orchestrator aligns operational elements into a holistic theme that delights customers. The Champion advocates for the needs, wants, and desires of customers and ensures the company’s offerings create value on behalf of each customer. The Guide drives the organization’s transformation into a premier customer-experience organization. The customer-experience role transcends the CXO: During a visit to Amazon, Morgan noticed “the entire company has a customer-experience mindset.” At customer-centric companies, all employees are tapped into how their work impacts customers. They are also empowered to help resolve customer issues. 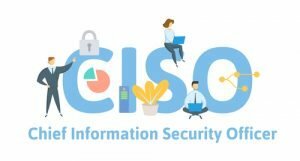 Chief Innovation Officer (the most common acronym is CInO) is one of the newer C-suite roles, and one that often overlaps with other executive roles. 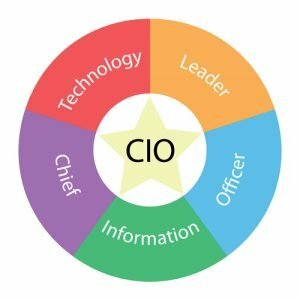 Innovation has often been the purview of the Chief Information Officer, but has evolved in many cases to a distinct role. In a nutshell, CInOs envision and communicate the future of their organizations. To explain the role’s emergence, experts point to globalization and an information explosion that leads to endless consumer choices and a brutally competitive landscape. “To ensure they stay ahead of the game, businesses must be constantly innovating,” notes Ben Rossi in Information Age. Rossi characterizes the CInO role as “an executive who links the traditional CEO, CFO, and CIO roles.” Author Jag Randhawa also cites “a growing interest in innovation in the service industries, as well as in public welfare entities, including government and non-profit organizations.” Many organizations identify innovation as one of their top priorities. a venture fund that invested externally and sometimes internally (24 percent). The median budget under the control of the chief innovation officer was $3.5 million. The CInO must be not only the visionary of the organization, but also a highly credible executive who attains buy-in for innovation. “A successful Chief Innovation Officer is a master of influence,” observes Bill Poston in his The Chief Innovation Officer blog. The role requires subject-matter expertise in the organization itself, technology, finance, business, operations, strategy, law, and internal and external politics, as well as the ability to communicate persuasively. Ability to support best practices throughout business units toward breakthrough product and service initiatives that improve and deliver business results. Astutueness to protect promising projects, oversee seed funding, and invest in initiatives and assets that aren’t guaranteed to succeed. Collaborative skills to foster idea-generation and execution among workforce. Competence in measuring and analyzing innovation results. Analytical skills to interpret trends and identify disruptive threats and opportunities. Commitment to cultivating innovation talent, developing innovation roles and career paths, and encouraging a culture that embraces innovation. To become a successful CInO, combine branding, innovation, leadership, management, persistence, and strategy. That’s the advice of Ade McCormack, who suggests in his blog a step-by-step process in which the executive aligns innovation with user expectations, identifies innovative staff, cultivates a culture of innovation, rewards staff for innovative activity, builds the brand by promoting innovative successes, strategizes attaining the most important performance indicators, and repeats the process over and over. Start a grassroots innovation revolution in your organization. So advises Randhawa, who suggests creating within your current role “a bottom-up innovation program in which participants share ideas to improve existing products and services.” Randhawa asserts that having a program like this on your resume can open up the path to becoming a CInO. Build your skills. Many CInOs hold MBA degrees. While little evidence exists that a certification in innovation management will boost your career, you could gain skills and knowledge through pursuing the Certified Management of Innovation–Chief Innovation Officer designation offered by the International Association of Innovation Professionals (https://www.iaoip.org/page/Certification). Have the right mindset. In a Forbes article describing what makes a CInO successful, Mike Maddock describes several innovation mindsets, noting that only two of them –the Maverick and the Orchestrator – lead to success. Mavericks, he says, are aggressively committed to the future and tend to make people uncomfortable to the point that the organization breaks new ground. The Orchestrator prepares and empowers the team for an innovative future. Bottom-up idea management grows in importance. Companies increasingly realize that since employees work most closely with customers, they are a prime source for innovation. Creativity takes center stage: Creativity has always been critical to innovation, but today is becoming recognized as a vital business skill. Some experts suggest integrating creative tasks for CInOs and other innovators to enhance this attribute. The concept of “innovation communities” catches fire: These communities can be internal, external or mixed and can include such diverse entities as “former interns, service providers and suppliers, customers and experts for future technologies and digitization,” according to Innolytics. These communities bring together creative and motivated minds with various perspectives to generate myriad ideas and engage in co-creation. Each year, CDI (Career Directors International) hosts the resume writing industry’s most prestigious Toast of the Resume Industry™ (TORI) resume writing competition; an international competition in which contestants submit their best work in a category. It was an honor to be selected as 2nd place winner for Best Information Technology Resume. And I was equally elated to have been nominated for Best Accounting & Finance Resume. 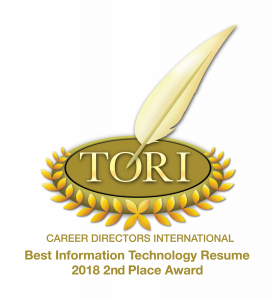 According to CDI President, Laura DeCarlo, “The Toast of the Resume Industry (TORI) award winners represent the epitome of excellence for job seekers to stand out from the competition for the 60-80% of all jobs that are found through networking and the hidden job market. Job seekers at any level who want to know their resume is written with the marketing power and precision to help them come out on top for qualifying positions need look no further than a TORI winner. I proudly represent the ‘best of the best’ in my industry and share the accolades with my esteemed colleagues. “Growth” is the watchword for today’s CMOs. With some experts characterizing CMOs as “Chief Growth Officers,” the growth imperative is increasingly expected of this role. Jean-Baptiste Coumau, Tom French, and Laura LaBerge note in the Harvard Business Review that to get ahead of the competition, “CMOs must deliver above-market growth” by facilitating outstanding customer experience and organizational alignment. Traditional aspects of the CMO role include brand management, marketing communications, sales management, market research, marketing training, product development, distribution channel management, pricing, customer service, strategic planning, and data analysis. In many cases, we can now add for the contemporary CMO customer experience, data strategy, change management across the business, information technology (with CMO and CIO often closely collaborating), marketing strategy, storytelling, and driving innovation. Today’s CMO can be seen as voicing the customer perspective to the rest of the C-Suite and the board. Brand-building is still counted as a top priority for CMOs; this function is increasingly impacted by storytelling, emotion, and the customer experience. 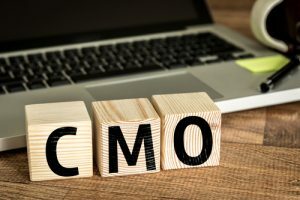 Perhaps surprisingly, the CMO role is far from universal in corporations, and tenure of incumbents in the position tends to be shorter than for other C-Suite roles. Deploy full C-Suite strategic thinking. Matthew Lieberman refers to a “multihyphenate role” – CMO-CEO-CFO – to describe the kind of full-organization integration necessary to excel as a CMO. Have a command of the best technology to yield the right data. Writing for Chief Marketer, Patty Odell suggests emphasizing the “four forces underlying consumer technology adoption — tools, coordination, conversation, and emotion” to refine the approach to engaging customers. It’s OK to aspire to be CEO. While CMOs were once dismissed as CEO material since they were not directly accountable for profitability, the customer focus of this role has propelled it to CEO-worthy status. David Shrank of Deloitte Consulting notes that “the role of the CMO has changed dramatically in recent years, and this new breed of CMO is being shortlisted for the top spot … as the CMO continues to own the customer across all channels – as well as the data that drive the business – the CMO quickly becomes a logical person to own the company’s growth agenda in the CEO role.” In one study, more than half of surveyed executives said their CMO could eventually become CEO. For inspiring stories of marketers’ varied career paths to CMO, see articles in MarketPro and Mashable. Mass Data Fragmentation is a challenge for marketers: CMOs must contend with unstructured data that is currently widely scattered, resulting in an incomplete picture. These leaders seek a more holistic data scenario. Customer acquisition remains the No. 1 objective: The best CMOs are relentlessly dedicated to understanding the customer and push their organizations toward customer-centricity. The Three E’s – Empathy, Emotion, and Experience – will increasingly inform marketing to customers, as will personalization. 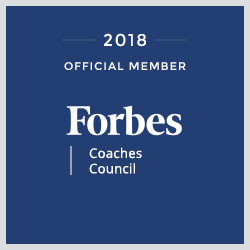 Writing for Forbes, Jenny Rooney cites “near-obsessive focus on their customers … engaging with them in a fully omnichannel world and with a unique respect and allegiance.” Some experts suggest a CMO’s role should be Chief Experience Officer. The Holy Grail for CMOs is to marry data with creativity: This “right-brain/left-brain challenge,” as Alan Schulman calls it in Adweek, is a unique CMO imperative within the C-Suite. Emerging technologies, such as artificial intelligence and machine learning, will impact CMOs and help solve data problems: Increasing use of these technologies enables CMOs to extract optimal value and insights from their data. As a career coach, I’ve helped numerous executives transition into more fulfilling careers. Schedule a call with Beverly today for a complimentary discussion https://www.harveycareers.com/discussion. Largely driven by advances in technology, the CFO role has changed dramatically in recent years. Corporate portfolio management and capital allocation are among the areas in which CFOs are taking on greater roles. Communication skills have gained currency as CFOs are increasingly called upon to detail the long-term financial picture to the board of directors and shareholders in simple, clear terms. Effective communication with financial institutions also is critical. Because business decision-making increasingly requires budgeting and forecasting data, future-oriented CFOs – aided by technology – have extended their reach into all corners of the organization. That means CFOs must excel at building relationships. The role can be seen from a past, present, and future perspective. The controllership piece looks at historical financial information, while the treasury piece oversees the organization’s present financial condition, and the economic strategy and forecasting portion of the role, of course, deals with the future. In fact, the CFO can be seen as a futurist rather than a reporter, notes George Rotsch, a sales and marketing leader for Intellitec Solutions. Joining the traditional core areas of the CFO role – financial reporting, audit and compliance, planning, treasury, and capital structure – are ­­­­­­­­­­ business strategies such as mergers and acquisition. McKinsey: Today’s CFO: Which profile best suits your company? Catalyst: Motivating behaviors across the organization to achieve strategic and financial objectives. Strategist: Partnering with CEO and deploying critical-thinking skills toward growing the organization profitably and meeting its goals. Steward: Protecting and preserving the organization’s assets. Operator: Balancing capabilities, talent, costs and service levels to fulfill the finance organization’s responsibilities. Finance expert: Taking both leadership and ownership of the organization’s financial results. Generalist: Engaging heavily in business operations and strategy and often contributing strong industry and competitive insights. Performance leader: Leading transformation both within the finance function and throughout the organization. Growth champion: Externally hired professional often seen in industries that plan to grow considerably. Yet another four-role perspective, from the organization behind the Chartered Global Management Accountant designation, emanates from the concept of “value.” CFOs, according to the organization, are Creators of Value, Enablers of Value (by supporting decision-making and performance), Preservers of Value (assets and liabilities management, risk management, internal controls), and Reporters of Value. Leverage your background. Working at a Big Four accounting firm is no longer the primary route to CFO. If you are looking at transitioning into a CFO role, you’ll find certain types of background especially helpful. The McKinsey report notes that externally hired CFOs brought in as growth champions often come from the realms of investment banking, consulting, or private equity. Absorb the big picture. Connect with operations and strategy teams throughout your career so you can grasp the organization from an operational perspective. Ask questions and attend meetings outside your area. You might even consider stepping up for special project beyond the scope of finance. Build collaborative relationships. You will be better equipped to lead change if you have shored up relationships with operational colleagues. Polish your communication skills. “The best finance leaders use the numbers to tell a clear and coherent story,” writes Tom Bogan in his Adaptive Insights blog. 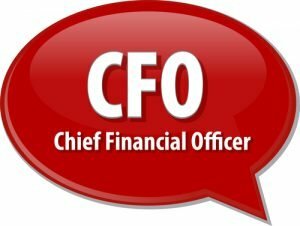 The role of finance continues to grow: With many organizations eliminating the COO role, CFOs are increasingly called upon to ply their strategic and operational skills, especially in the areas of risk management and technology. 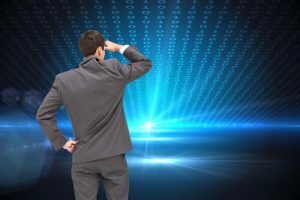 Technology makes finance smarter and faster: Finance professionals are at the forefront in the adoption of new analytics tools and techniques and are increasingly integrating artificial intelligence and machine learning. Companies face new risks and challenges: Amid demands for greater transparency and better stewardship, organizations must also contend with social responsibility, the demand for privacy rights, as well as the need to protect data and confront data breaches. Businesses are living in the age of uncertainty: The polarized political climate is just one impetus for change and challenge. Regulation, trade policy, and data protection also play a role. This is Part 2 of a two-part series on career reinvention for senior-level executives. Part 1 explores a dozen key activities for reinvention. As we saw in Part 1 of this series, the desire for reinvention often springs from discontent, if not downright unhappiness. Senior-level executives who have lost the mojo of their careers may recognize the need for reinvention – but they are flummoxed as to what such a reinvention might look like. In this part of the series, we explore options. Your bucket list: Is there something you’ve always wanted to do and are determined to do before you leave this planet? Perhaps crossing that item off your bucket list will require you to reinvent yourself. Something you always put off: Similar to a bucket-list item, your long-delayed ambition could finally come to fruition as part of your reinvention. Something that interested you as a child: Our childhood ambitions can be intense and passion-producing. We may have abandoned them years ago for reasons that don’t exist today – parental pressure, discrimination, daunting entry requirements. Or we may have recognized back then a misalignment of skills that can be remediated today. It’s not too late to recapture that childhood dream. A new employer or role in the same arena in which you’ve already been working: A simple change of employers – or even roles within your current employer may accomplish your reinvention goals. An advantage here is mitigating some of the reinvention risk that is particularly acute for senior-level executives. New employer in an arena or role that is new to you: Perhaps you’ve discovered your skills are easily transferable to a different industry and/or role. Or maybe you’d like to take your talents from the for-profit world and ply them at a non-profit, or in education or government. New geographic location. A simple change of venue might not qualify as a reinvention, but if it accomplishes your reinvention goals, the label is unimportant. skills you don’t enjoy using and are not that good at anyway. Teaching: Teaching evening, weekend, or online classes enables you to use a new skillset and test out your interest in educating others – while you continue to hold your job. Consulting: This form of entrepreneurship is a natural for executives; ideally you would offer consulting that does not compete with what your employer offers. Volunteering: You have endless opportunities to try different skillsets and discover new disciplines by serving as a volunteer while still working. With the possible exception of volunteering, any of the above could become your ticket to leave your current job eventually, thus reinventing yourself. One more significant option for exploring reinvention while avoiding risk is to propose to your employer that you take a paid sabbatical. Most universities and some employers offer paid sabbaticals; if yours doesn’t, it can’t hurt to propose one to your boss. 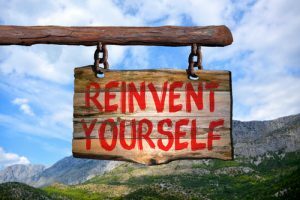 Once you have committed to reinvention, you’ll want to plan strategies to market your reinvented self. If you’re changing careers, you’ll want effective career-marketing materials, such as your resume, cover letter, and Linked-In profile, that position you for your reinvented career and help you mitigate possible age discrimination. A reputable career practitioner can help you with these materials. As a career coach, I’ve helped numerous executives transition into more fulfilling careers. Schedule a call with Beverly today for a complimentary discussion http://www.harveycareers.com/discussion. This is Part 1 of a two-part series on career reinvention for senior-level executives. Part 2 explores various reinvention options. If you’ve had a “Peggy Lee” moment as a senior executive, in which you asked yourself, “Is that all there is?” with regard to your life or career, you are far from alone. Though author and teacher Regena Thomashauer writes, “reinvention is always initiated by unhappiness,” this unhappiness is sometimes more like a low-level discontent, a feeling of wanting something more or different. Whichever type of reinvention is pursued, the stakes are higher for executives as they have more to lose in terms of reputation, income, and self-worth. Own your grief at ending a phase of your life. Acknowledge the feelings of loss that come from no longer enacting your career in a certain way for what may have been a very long time. Prepare yourself to let go of what no longer fits your goals. Determine your reinvention purpose. What do you hope to accomplish by reinventing yourself? Clarify your goals. Assess your skills and values. Immerse yourself in self-discovery. Now is the time to determine what truly motivates you, drives you, and keeps you engaged. What do you highly value in your work? What skills do you want to keep using, and which ones are you sick of using? 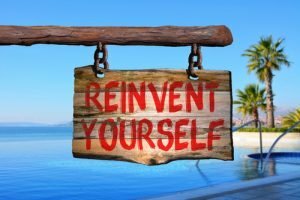 Are new skills required for your reinvention goals? How will you acquire those skills? How can you re-package those skills for new opportunities? Evaluate your risk tolerance. As mentioned, executives have a lot to lose if reinvention goes sour. How much are you willing to risk? Your degree of risk-averseness may temper your reinvention plans. Engage in proactive learning. This time of uncertainty provides an opportunity for learning. If you are unsure which direction to take with your reinvention, additional learning can point you down the right path. And if you know exactly what your reinvention will look like, learning will help arm you with the skills and knowledge you need for the New You. Enlist your support team: Don’t try to go it alone; gather a team to support your reinvention. That outside perspective can be critical to your efforts. Your team might include a career or transitions coach. Including one or more mentors also makes sense. Identify where you need extra support, for example, with gaining the skills needed for reinvention. Your greater network is also a vital asset in your reinvention. You may need to add a significant number of new contacts to your network if you are changing fields. Define the new you. Having executed preliminary exploration, clearly articulate exactly what your reinvention looks like. Be able to tell people about it with pride and optimism. Write your career story, culminating in your clear vision of reinvention. Reviewing the highlights of your career will show trends and patterns. Ideally, your story will show a natural progression to your reinvented self. Break it down into smaller steps. Reaching the goals of your reinvention may be a huge and daunting undertaking, but you can keep from feeling overwhelmed if you break the process down into more manageable pieces. Experiment. Your reinvention is not set in stone. You can try some temporary explorations if you’re not completely ready to commit to reinvention. If you have lingering concerns, you can experiment while still holding onto your former life. 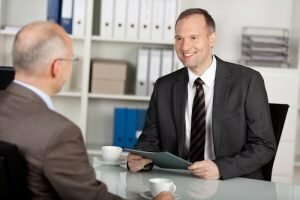 If you want to learn more about roles, companies, and industries that are different from what you’ve been involved with, consider informational interviews. While these are usually conducted by job-seekers closer to entry-level, there is no reason executives can’t partake. You might also consider a “side-hustle,” such as consulting while hanging onto to your current job/career. Volunteer work and teaching also give you an opportunity to stretch your muscles, deploy unfamiliar skills, and explore new arenas without giving up your livelihood. See more about these options in Part 2 of this series. For accountability, communicate your goals. Tell as many people as you can how you’ve reinvented yourself. Doing so will reinforce and strengthen your commitment. Say no to anything that does not serve your new purpose. Once your reinvention is under way, don’t get derailed by engaging in activities that don’t support your new life. Take on only the “mission-critical” tasks that support your reinvention. Unquestionably, reinvention is especially challenging for senior-level executives. Remember that you have the advantage of having built both knowledge and networks over a long career and thus have copious resources to guide your reinvention. With millennials predicted to comprise more than 35 percent of the workforce by 2020, it’s inevitable to see members of this millennial generation in hiring-manager positions, recruiting and hiring senior-staff members who may be far older and more experienced than they are. 1. Leadership, teamwork, and communication are always in vogue. Millennial hiring managers seek these traits just as much as their counterparts in other generations. millennials are especially obsessed with collaboration, so stories that demonstrate your team-leader and team-player competencies will play well in interviews with them. As for communication, remember that millennials are visual learners who grew up consulting YouTube to learn how to do things. They are not big readers and have actually been conditioned to skip large blocks of text. That means they are unlikely to appreciate huge amounts of detail on your resume. And they might just resonate with a pitch deck about yourself that you bring to the interview. 2. Millennials respect experience, but as hiring managers, may not be willing to pay for it. Hiring managers in this generation recognize that experience is valuable, but they are more focused on the specific contribution you can make and how productive you are. They do not necessarily associate years of experience with a premium salary. It’s important to describe in the interview how you’ve contributed your productivity in similar situations, rather than emphasizing your vast experience. Show that what you bring to the company – not your years of experience – makes you worth your requested salary. It’s also important to show that a wealth of experience will not impede your ability to react quickly to changing dynamics. You want to show that you are not fixated on looking at new situations through old lenses. 3. If the watchword of real estate is location, location, location, the watchword for older executives under scrutiny by millennial hirers is flexibility, flexibility, flexibility. Demonstrate that you value diversity. Show you are not tech-averse but open to learning new technologies. Prepare for interviews with stories of responding effectively to the kind of rapid change millennials have experienced all their lives. 4. Millennials raise their eyebrows at careerists who’ve worked at one place for a long time. The good news is that job hopping is scarcely an issue for millennials who hire. Instead, the opposite is true; they look askance at those who seem to have stayed in one place too long. Their generation has tended to seek personal growth by moving from job to job. If you have been at your most recent job a long time, prepare an explanation about how you’ve grown in your work and have not stagnated. By the way, if the millennial interviewing you will be your supervisor, don’t count on him or her to stick around for a long time. 5. Millennials admire work-life balance. Stories of the long hours you’ve toiled and personal sacrifices you’ve made for your work are not likely to resonate with millennials, who tend to dedicate themselves to meaningful work, values, and balance between their professional and personal lives. In interviews, be sure to share the volunteer and community activities that make you a well-rounded contributor. Being considered for a position by a hiring manager many years your junior can be intimidating. But once you understand the millennial hiring mindset, you can navigate interviews with these young hiring managers with ease. If you need help with your interviewing skills, consider coaching with us.